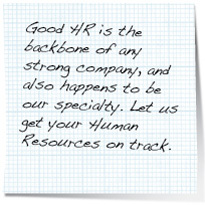 The AR Group’s business affiliate, Uncommonly Smart HR, is staffed with employment and compliance attorneys and HR professionals who stand ready five days a week, from 7:30am – 6:30pm (MTN) to field client questions, resolve emergencies and address common client concerns. This team of professionals can step in as an alternative to employing in-house resources by serving as your HR manager, supplementing your existing HR team with our expertise, or serving as an interim solution before hiring an in-house HR resource. No matter your specific needs, we help you promote and implement effective employee management processes and policies and ensure compliance. You’ll see an immediate impact.